In this example I replicated task and model described in Glasher et al. 2010 (available here: https://www.ncbi.nlm.nih.gov/pmc/articles/PMC2895323/ ). 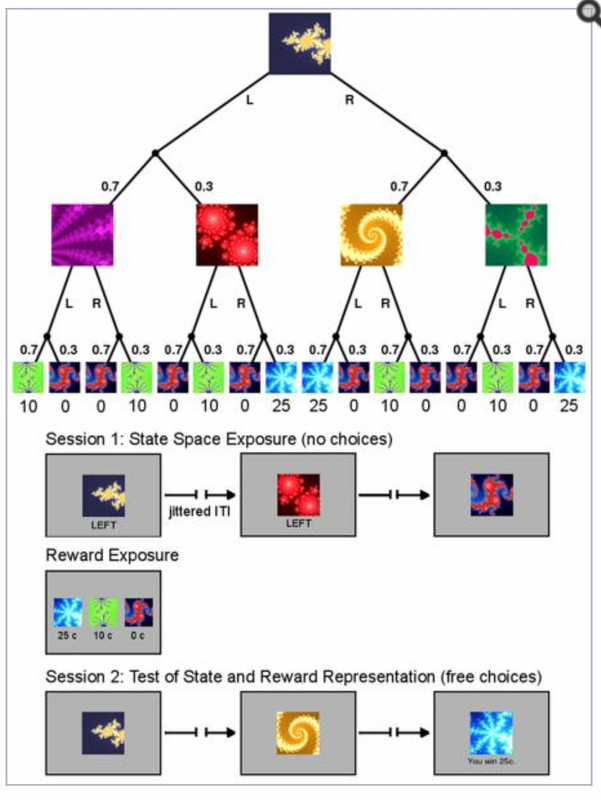 The task is essentially a two armed bandit with probabilistic outcomes (distribution of probabilities: 0.7-0.3), played on two levels, so that the agent has to perform 2 choices in sequence (left or right), to reach a reward, virtually following the branches of a binary decision three. 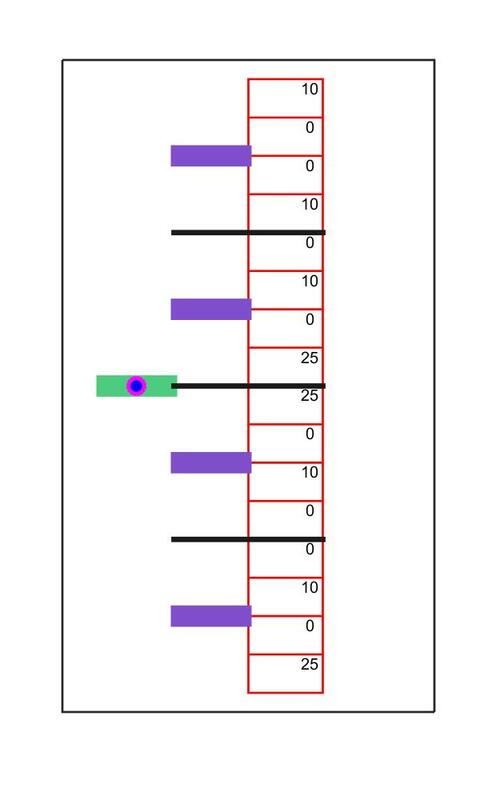 The rewards are static and they are represented by values of 0, 10 and 25. Thus, to solve the task it is necessary to rely on a hybrid control system that integrates the classic model-free with a decision making system capable of generating a correct map of state-action associations, that includes the different probabilities to navigate either task. This component is usually termed model-based, as it generates a model of the world on which choices are then based. You can download the whole code here (zip archive), where I have also added a graphical live representation (see below) of the choices performed by the agent, to allow easy track of the behaviour. 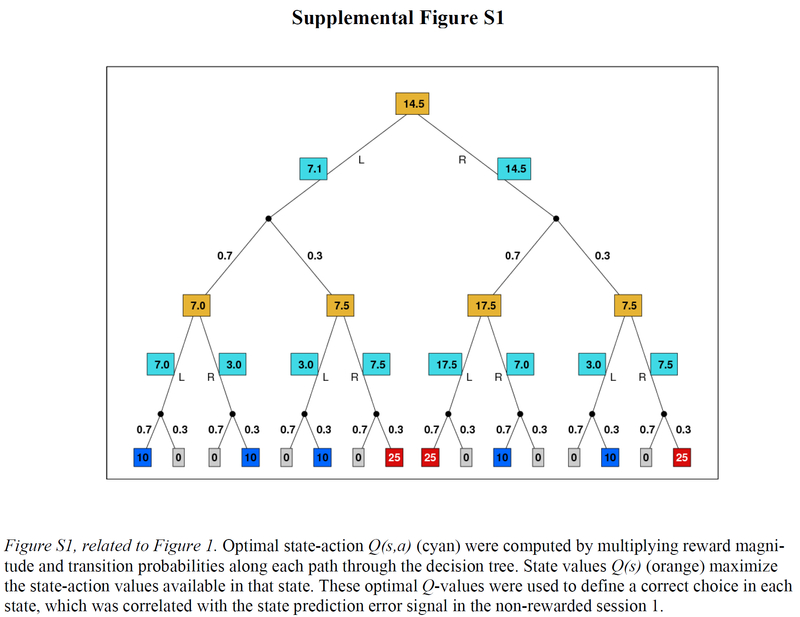 Convergence towards optimal behavior across a short number of trial is not always found.